Dr. Waller is a Postdoctoral Research Fellow who joined Michigan in 2013 after receiving her doctorate from the University of Oxford. She has an MA in Experimental Psychology and MSc in Evidence-Based Social Intervention, also from the University of Oxford. Her research is focused on examining behavioral and personality precursors of psychopathy and antisocial behavior from a developmental psychopathology perspective. Specifically, she studies how children’s early environmental risk (including parental harshness and low warmth) is related to the development of callous unemotional (CU) traits and the emergence of conduct problems in later childhood and adolescence. Within this, she focuses on issues related to the conceptualization and measurement of CU traits in children, as well as related constructs such as empathy and early conscience deficits. Her recent work incorporates neurogenetics to better understand the heritable and neural risk markers for CU traits and antisocial behavior, with the ultimate goal of informing preventative interventions. Dr. Waller is currently on a T32 Fellowship in the Addiction Center of Department of Psychiatry at the University of Michigan, where she is integrating models of early externalizing psychopathology with risk for problematic substance and alcohol use across development. From July 1st 2018, Dr. Waller will be an Assistant Professor in the Department of Psychology at the University of Pennsylvania. Leena was a post-baccalaureate research assistant from August 2018 through March 2019. Eva was an undergraduate research assistant from January 2018 through February 2019. Isabel was an undergraduate research assistant from April 2017 through December 2018. Gaby attends the University of Florida and worked in the MiND lab from June to August 2017 through the Summer Research Opportunity Program (SROP) . Emma was an undergraduate research assistant from May 2017 to April 2018. Emily was an undergraduate research assistant from September 2017 to April 2018. Melissa was an undergraduate research assistant from February 2017 to April 2018. Maya was an undergraduate research assistant from January 2017 to April 2018. Danielle was an honors student who majored in psychology with a double minor in crime & justice and Program in the Environment. She plans on pursuing her clinical psychology Ph.D with a focus in forensics. She was an undergraduate research assistant from September 2014 to April 2018. Meredith was a post-bac research assistant from January 2018 to April 2018. Anna was an undergraduate research assistant from January 2016 to June 2017. Miloni was an undergraduate research assistant from September 2016 to December 2017. Madeleine was an undergraduate research assistant from October 2016 to December 2017. Toni graduated from the University of Pittsburgh in 2015 with a BS in psychology with an administration of justice minor. She is interested in understanding the development of conduct problems and antisocial behaviors in children and adolescents, specifically those involved in the justice system. 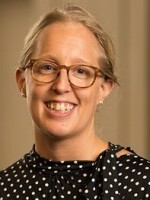 Toni served as lab manager for the MiND lab from 2015 to 2017. She is currently attending Louisiana State University to pursue her Ph.D in clinical psychology. Andrea graduated in 2017 with a B.S. in neuroscience and psychology. She completed an honors thesis under the mentorship of Dr. Hyde and Arianna Gard, a developmental psychology Ph.D candidate, entitled “Neighborhood effects on the brain: Impoverishment in early childhood predicts amygdala reactivity to ambiguous faces in young adulthood.” After graduation, Andrea moved to Baltimore, MD where she is working as an IRTA fellow at NIDA under Drs. Elliot Stein and Vaughn Steele. She is working on a research project that uses fMRI and clinical measures to assess the effectiveness of TMS as a chronic treatment for cocaine addiction. Andrea plans to pursue either a Ph.D in clinical psychology or an MD/PhD. Kelly graduated in April 2017 with an honors degree in biopsychology, cognition, and neuroscience. Kelly completed her honors thesis with the MiND Lab, entitled: White Matter Tract Abnormalities and Links to Antisocial Behavior Among High-Risk Young Adult Males.” She will be moving to Athens, Georgia in July to start at University of Georgia’s Clinical Psychology Ph.D Program. Under the mentorship of Dr. Ronald Blount, Kelly will be studying the effects of pediatric chronic illness on parents and children undergoing solid organ transplantation, and ways to improve outcomes for these children, including treatment adherence, medical communication, and transition to adult care. Julia graduated in April 2017 with an honors degree in psychology. She completed her honors thesis with Laura Murray and the MiND Lab entitled, “Associations Between Delay Discounting Performance and Reward-Related Neural Activity”. She moved to Washington D.C. to work in the Section on Human Psychopharmacology at the National Institute on Alcohol Abuse and Alcoholism with Dr. Vijay Ramchandani where she studies the genetic and environmental risk factors influencing response to alcohol and creates paradigms to better study alcoholism in a lab setting in order to develop novel treatments. Anni was an undergraduate research assistant from September 2016 to April 2017. Martha served as the first MiND lab manager from the Spring of 2013 to the Fall of 2015. Sophia was an undergraduate research assistant from January 2015 to April 2017. Karina was an undergraduate research assistant through the UROP program from October 2016 to April 2017. Abbey was an undergraduate research assistant from May 2016 to December 2016. Claire was an undergraduate research assistant May 2015 to August 2016. Mélanie was an undergraduate research assistant from May 2014 to May 2016. Tia was an undergraduate research assistnt from May 2015 to May 2016. Hannah was an undergraduate research assistant and Honors student from September 2014 to December 2015. Kepriah was an undergraduate research assistant from September 2014 to September 2015. John was an undergraduate research assistant from May 2014 to July 2015. Lizzie was an undergraduate research assistant from January 2015 to September 2015. Ariana was an undergraduate research assistant from January 2015 to December 2015. Melanie was an undergraduate research assistant from January 2015 to July 2015. Julia was an undergraduate research assistant from January 2015 to December 2015. Louisa was an undergraduate research assistant from January 2015 to May 2015. Torrey was an undergraduate research assistant from May 2015 to July 2015. Lawrence was an undergraduate research assistant from January 2014 to May 2015. Meaghan was an undergraduate research assistant from May 2014 to May 2015. Bianca was an undergraduate research assistant from May 2014 to December 2014. Josh was an undergraduate research assistant from September 2014 to December 2014. Katie was an undergraduate research assistant from May 2014 to August 2014. Sarah was an undergraduate research assistant from September 2013 to August 2014.